My Thornton family history begins in Londonderry/Derry, County Tyrone, Ireland, now part of Northern Ireland. During the reigns of James I, Charles I, Oliver Cromwell and Charles II, land in Northern Ireland was confiscated by the Crown and given to English/Scottish settlers. The Thornton family immigrated from Argyleshire, Scotland (according to one source, other source says England) to Northern Ireland at some point during the mid seventeenth century. The family were staunch Presbyterians and it is probable that they left Scotland to avoid persecution for being nonconformists. Family tradition states that James and Nancy Smith Thornton and family were living on a farm during the siege of Londonderry in 1689. Their son James, Jr. was born in 1684. James and Nancy as well as their son James and his wife Elizabeth Jenkins Thornton and family were part of a group of about 120 families who sailed to New England, arriving in Boston, Massachusetts in August 1718. These settlers were part of a larger group of immigrants that are known as the Scots-Irish. Apparently the welcome mat was not laid out for these immigrants and by 1720 the provincial legislature ordered them to get out of Boston. It was hoped that the new immigrants would head for the frontier of Massachusetts and act as a barrier from the Indians. 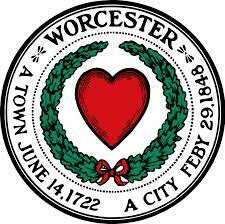 The frontier was only forty miles away in Worcester. The year 1718 was pivotal in the Irish migration to America. Several men were instrumental in persuading and organizing the Scots-Irish as they were, and are, known to immigrate to Massachusetts. The Reverend Cotton Mather began his attempts to recruit immigrants to Maine and New Hampshire as early as 1706. New Hampshire and Maine were frontier lands. The Reverend William Boyd sailed for Boston and a meeting with Governor hoping for a land grant for his congregation. His efforts resulted in the 1718 sailing of five ships bound for Boston. The Thornton were part of that migration. The story according to Charles Thornton Adams is that after spending the winter of 1718 aboard ship at Falmouth, Maine, the family settled at Wiscasset, Maine. According to tradition James Thornton, Sr. died in 1722 and Samuel Thornton, his grandson was born the same year. I have seen nothing that would substantiate those claims. site of Thornton house on Rossmore Rd. 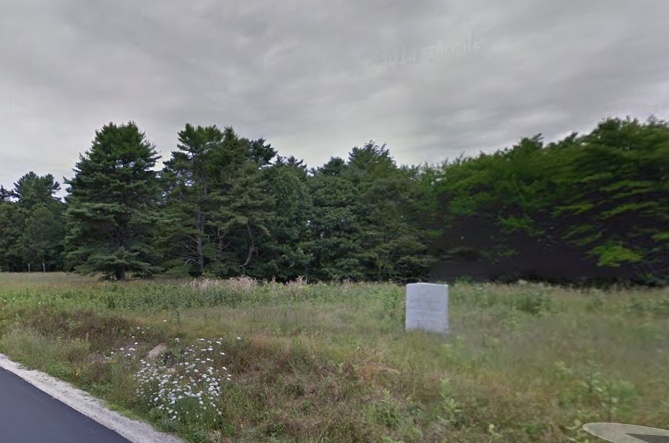 What is known is that James Thornton received lot #46 in Brunswick, Maine in 1718. His land was at the head of Maquoit Bay on what is now Rossmore Road. A marker has been placed at the site where James' house was believed to have stood. In 1722 his house as well as that of another were burned by Indians. They were lucky that was all that happened. In 1690 the entire settlement was wiped out and abandoned for time. It is likely that the family rebuilt after the attack and remained in Brunswick until leaving for Worcester in Massachusetts. There were no further serious Indian incursions until 1725. Not much else is known about the Thornton Family until their arrival in Worcester, MA by 1731. Besides Samuel, James and his wife Elizabeth are said to have had the following children: James, Andrew, Matthew ( bn. 1714 in Ireland), Agnes, William, Hannah, and Esther. James and his family lived for a few years in Maine and at some time left for Worcester, Massachusetts. The continuing danger from Indian attack was one reason for leaving Maine. Worcester, Massachusetts at that time was definitely a frontier town. It had been settled twice and destroyed twice by Indians. The third settlement was begun in 1717 by 200 English Puritans. In 1718 about 50 Scots-Irish arrived to reinforce the settlement. The new residents tried to build their own Presbyterian Chapel but it was burnt to the ground by the Puritans. This set the tone for things to come. James Thornton’s name first appears in the town records in 1730 when he purchased land. His occupation is listed as “Weaver”. James and his family live at the foot of Tactnuck Hill in Worcester, he continued to buy land to enlarge his farm. The Scots-Irish grew potatoes and flax which they spun into cloth. It is said they they were taller than the average Colonist, spoke with an Irish brogue, were extremely tightfisted and incredibly clannish. Unfortunately for the Presbyterian Scots-Irish the Puritans taxed them to pay for the Puritan Ministers and would not let them hold their own services. The "Irish" as they were called, attended the Congregational Church, except when an itinerant Irish Preacher was in the area. In 1633 an agreement was reached, the Irish would be assigned meetinghouse seats and would be allowed to hold an occasional Presbyterian service. James Thorington (Thornton) was assigned a seat in the forth row of the "fore seet". The "occasional" service was never allowed. In 1737, the Irish again petitioned to be exempt from the ministers rate and were again voted down. Finding life in Worcester intolerable many of the Scotch-Irish left for predominantly Irish settlements like Londonderry in New Hampshire. "such as were from the kingdom of Ireland or their descendants, being Protestants and none admitted but such as bring good and undeniable credentials or cerficated of their being person of good conversation and of the Presbyterian persuasion as used in the Church of Scotland and conform to the discipline thereof." James and his sons William and Matthew Thornton each owned multiple lots in the new town, eventually called Pelham. The town became a de facto Presbyterian settlement and they were able to build their meeting house and employ the minister of their choice. James and his son William are mentioned frequently in the Pelham records, James was a leading citizen and owned 14/60 of the town lots. The marriage of James' daughter Hannah and James Ferguson was recorded in 1746. Hannah and her family remained in the Pelham area for the rest of her life. Matthew Thornton did not live in Pelham, he had trained as a doctor and set up practice in Londonderry, New Hampshire. In 1748, James Thornton left Pelham and moved to Londonderry, New Hampshire to be near his son Matthew. It is unknown when his wife Elizabeth died. A wife did co-sign a land deed and the signature was Katherine Thornton. James lived in East Derry until his death in 1754. James was buried next to his daughter Hannah. Katherine's death was not recorded and there is no headstone for her. James’ son William left Pelham, first to Palmer, MA and then to Schenectady, New York, but was forced out by Indian raids. He finally moved to Thornton, Grafton County, New Hampshire, where he died in 1790. 1. James' wife is supposed to be Elizabeth Jenkins. Not a single one of his children name a daughter Elizabeth. This would not be a big deal today, but in those days the naming patterns in families were pretty predictable and it is almost certain that at least one of her children would name a child for her. The only documented wife of James was called Katherine. Her name is found in two of his land deeds as a co-signer. At least three of James' children name a daughter Katherine. Four of his children have a daughter named Mary. my conclusion: The mother of James' children was either Mary or Catherine, possibly both. 2. James supposedly had a son named Samuel. In all my research I cannot find a single solitary mention of Samuel. In the book "The History of Pelham", a Samuel Thornton was paid for doing some work for the town. However, if you read the original town records, you can see that the name is actually James and not Samuel. my conclusion: There was no son named Samuel who immigrated to Massachusetts and survived to adulthood. 3. James was also said to have sons James and Andrew. Again I can find no record of land deeds, mentions in town records, nothing. The only time the two names appear is in a document laying out the proprietors of the town of Thornton, NH in 1768. The first two names are Daniel Pierce followed by Matthew Thornton. Next are the sons of Daniel Pierce, followed by James and Andrew Thornton. Many of the men listed are father and son(s). In 1768 Matthew Thornton had two sons: James and Andrew. James who be named in honor of his Grandfather Thornton and Andrew for his Grandfather Andrew Jack. my conclusion: There were no sons named James and Andrew who immigrated to Massachusetts and survived to adulthood. Are you a Thornton Cousin? I'd love to hear from you, i'm working on a James Thornton family tree! Wheeler, George Augustus. History of Brunswick, Topsham, and Harpswell, Maine, including the Ancient Territory Known as Pejepscot. Boston: A. Mudge & Sons, Printers, 1878. Print. Adams, Charles Thornton. The Family of James Thornton, Father of Hon. Matthew Thornton. New York: Publisher Not Identified, 1905. Print. Bolton, Charles Knowles. Scotch Irish Pioneers in Ulster and America. Baltimore: Genealogical Pub., 1967. Print. Rohrer, S. Scott. Wandering Souls: Protestant Migrations in America, 1630-1865. Chapel Hill: U of North Carolina, 2010. Print. Richards, Leonard L. Shays's Rebellion: The American Revolution's Final Battle. Philadelphia: U of Pennsylvania, 2002. Print.